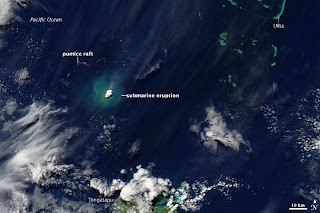 While Hunga Tonga-Hunga Ha’apai would be a great name for a volcano on Io, I am actually referring to the undersea volcano in the South Pacific island nation of Tonga. This seamount erupted yesterday producing a large steam and pyroclastic cloud reaching at least 15,000 feet into the air. The BBC has a video captured on a boat a few miles from the eruption site. The video clearly makes out the brighter steam and darker pyroclastic clouds. The large size of the eruption column is leading to disruption of Air New Zealand flights. 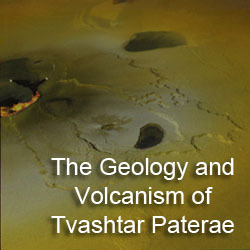 You can follow news about this eruption over at the Volcanism Blog, a great site to learn more about volcanic activity on Earth. The closest analog to this eruption on Io would be an explosive eruption west of Zal Patera during the summer of 1997. Almost no lava was deposited during the eruption (within the limits of resolution and the annoying noise hits of our best images of the area), but there is evidence for an SO2 dust plume (analogous with the bright steam cloud seen at this Tongan eruption) and pyroclastics that produced a dark deposit that radiates out from the central vent (analogous to the dark cloud seen in the video linked above). 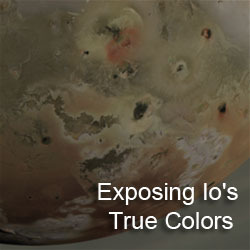 Akin to sulfur dioxide plumes on Io, the steam cloud is produced as heat from the eruption boils off the water above the source vent. 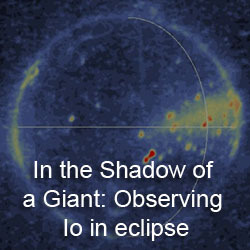 On Io, this "boiling off" normally occurs when lava flows over SO2 frost on the surface. The pyroclastic eruption at "At'am" would act remarkably like the pyroclastic flow here (though it would look less like a cloud, I would presume). There would be an initial ballistic phase as the largest clasts get sorted out. After a few kilometers, the pyroclastic column, consisting mostly of ash with low volatile contents, would collapse and move rapidly laterally along the surface. 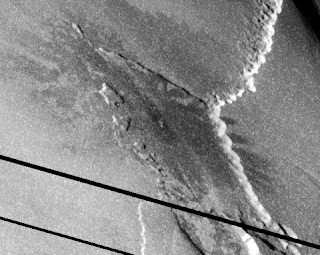 As can be seen at "At'am", the rapid speed of the pyroclastic surge allows it to climb up shallow slopes even on the 2 kilometer tall plateau, North Zal Montes. Pyroclastic flows on Io were modeled by Smythe et al. back in 2001.